2PM’s single album ‘Again & Again,’ was released in 2009 and achieved No. 1 on Thailand’s Channel V Chart. In 2010, the band went on tour in Taiwan, Thailand, and Singapore. In December of 2010, the band made its debut in Japan and in May 2011, went on tour in Sapporo, Fukuoka, Osaka, and Tokyo. Taecyeon (Ok Taecyeon) is one of the key members of 2PM. Known for charismatic stage performances in which he even rips off his shirt, Taecyeon is also beloved by fans for his unconventional and pure character. Following his first acting appearance in the KBS drama ‘Cinderella's Sister’ in 2010, he then joined the cast of the KBS drama ‘Dream High’ in 2011, receiving praise for his acting abilities. Nichkhun (Nichkhun Buck Horvejkul) is of Thai descent and is one of the most popular members of 2PM for his prince-like appearance and pure charm. His aristocratic looks also earned him the nickname ‘Thai Prince’ from his Thai fans. In addition to his outstanding rapping and dance skills, he has also starred in ‘We Got Married 2’ (2011) and a variety of MBC programs. Despite his awkward Korean, he is a fan favorite. Both charismatic and cute, Wooyoung (Jang Wooyoung) has many attractive qualities. He was praised for his MC talents on the KBS talk show ‘Seungseungjanggu’ in 2010. In 2011 he appeared in the KBS drama ‘Dream High’ with Taecyeon, playing the role of a genius high school art student. Chansung (Hwang Chansung) made his public debut in the Korean sitcom ‘Unstoppable High Kicks,’ which was aired on MBC in 2006 and 2007. A year after his acting debut he outgrew his boyish looks and took the stage with 2PM as a charismatic young man. Chansung enjoys sports like Taekwondo and Gumdo and he sometimes does pratfalls during variety shows to amuse the audience. Junho (Lee Junho) is such a mischievous joker that he even says that his ideal woman is "someone suitable to bear his child." His passionate charisma onstage disappears behind an innocent smile offstage. He was part of the KBS show ‘Dream Team 2’ (2009-2011), in which he let his athletic abilities shine. As the lead vocals of 2PM, Junsu (Kim Junsu) has continued to study music and music composition. He participated in the making of the OST for the KBS drama ‘Dream High’ (starring Taecyeon and Wooyoung) and wrote the music and lyrics of ‘Don't Go’ under the name Jun.K. He was also cast in KBS ‘Immortal Music 2,’ in which young talented idols sing old classics. HOTTEST is the name of the official fan club of 2PM. 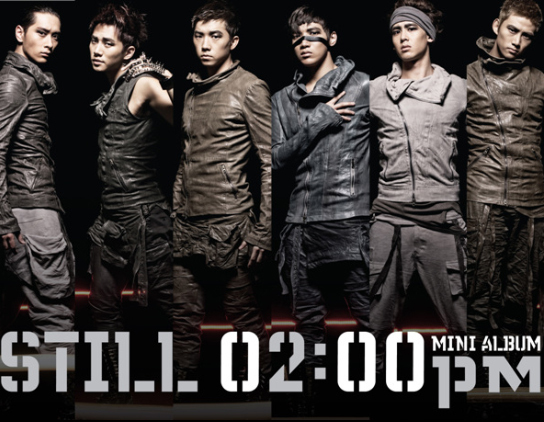 The name was taken from the group's single album "Hottest Time of the Day" and reflects 2PM's hot and active music.